Welcome to The Arc Bay County! The Arc Bay County advocates for the rights of all children and adults with intellectual and developmental disabilities to achieve, participate, and become an integrated part of their community. In conjunction with The Arc at the State and National levels, The Arc Bay County believes in opportunity for everyone to hope, dream, grow, and to be a valued and contributing member of their community. 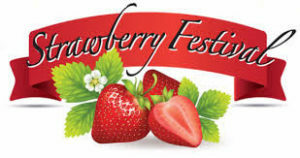 Thank You … for supporting our Strawberry Festival fundraiser! By purchasing tickets, attending, or volunteering, you help us achieve our mission of providing services for individuals with intellectual and developmental disabilities in our community. Contact The Arc Bay County office to find out about our next event! Join us for an evening of family fun while supporting a worthwhile cause! The Arc Bay County is proud to announce our newest project – Project Lifesaver. Project Lifesaver International is a 501 (C)(3) non-profit organization that bridges the technological gap for “at risk” populations and public safety agencies. Project Lifesaver provides police, fire/rescue and other first responders with a comprehensive program including equipment and training to quickly locate and rescue “at risk” individuals with cognitive disorders who are at constant risk to the life threatening behavior of wandering including those with Alzheimer’s disease, Autism, and Down syndrome. Funded in part by a grant from the Bay Area Community Foundation, The Arc Bay County has joined the over 1,200 Project Lifesaver participating agencies throughout the United States, Canada, and Australia. Project Lifesaver provides equipment, training, certification and support to law enforcement, public safety organizations and community groups throughout the country and nation. Project Lifesaver provides enrolled clients a reduced recovery time. The Bay County Sheriff Department has been trained to respond with a Search and Rescue team when notified of a missing Project Lifesaver client. Contact The Arc Bay County office to learn how you can enroll your loved one in this lifesaving program.